Hello, my name is Lloyd! I'm looking for a comfy home to stay at in the Three Portlands-Boring area. I tend to prefer living alone, so I probably won't bother you too much and just mind my own business most of the time, just as if we had a neighbor-neighbor relationship. Rest assured I will join you for lunch once in a while though! I also really like being around children and playing with them, so I'll keep them occupied while you're away. I'm a proud opossum! This means I can be a bit scary sometimes, but in fact I'm more scared of things than they're scared of me. People say I'm a bit ugly too, but it's because they never got to know me and see past my appearance. I'm just a furry ball of love! I mean no harm to anyone, I'm really playful and I'll be happy to hang out with you for a beer or some grilled meat. I'm a cool dude who likes to eat any pests I can find around your house! With me around, there will be no more insects, snails, or mice sneaking up on you, stealing your food, or scaring your significant other! I also eat dead stuff sometimes: I'm like nature's pest control and cleanup crew! I also have a super big heart and I'm eager to comfort anyone, whenever! The folks at Wilson's say I tend to make myself at ease wherever I go a little too easily. It's just how I am: I'm really quick to adapt, especially if its a comfy house! I come with some neat plastic toys and even a little box so you can take me in your car. I'd love to go on vacation with you! Facts About Possums Like Me! I can eat up to 5,000 ticks in a few months. However, I can't contract Lyme disease and won't even carry it! Unlike rats and such, we opossums are immune to rabies. Did you know? I'm the only marsupial native to the US! We don't "play dead" on purpose; it's like a fainting reaction. Do not scare us for fun. No, our tail isn't a remedy against infertility. Do not eat us please. However, we are very fertile. I'm picky with females, though, so don't force me into dates or such. If I show up often in your house, it does not mean it's dirty there: I like clean places! Notes From My Previous Neighbors! When I saw the little Lloyd was up for adoption, I immediately felt I had to give him a chance. And I was right to try: he's just so lovely. He respected everyone's boundaries, and was at first a little shy, but the more we knew him the more he showed up for lunch. We had some great weekends, playing some board games with a cup of coffee and some snacks. He's very good at Monopoly, mind you, even if he says he doesn't practice often. My children really liked him, and I think they cried a little when he decided to move out. He said he needed a new, fresh life, but added he would never forget us. I hope you're okay, Lloyd, and know that you can come by to say hello whenever you want! I'll be happy to cook you that turkey with wine that you love. Man, I wish Lloyd was still around. When I adopted him and welcomed him into my house, I felt that we were going to have a good connection. We had a lot in common, and I wasn't wrong: Lloyd soon became what I could call my best friend. Sophie, my daughter, she liked him too, and they spent some great nights while I was away for work: in the morning she would go on and on about him letting her watch her favorite movies and showing her card tricks. He was always there to help when I needed something, be it salt or changing a tire. In all honesty, even though we had this special relationship (I even considered calling him "Sophie's uncle"), I was afraid I was slowly taking advantage of him: he lent me some money, once, and even though he did it with a smile I felt a little dirty inside. I let him know about those feelings, and we had a great talk around some beers, him telling me it was nothing, and he was just happy to help. He was a great neighbor, and a great friend. I'm sorry to be the one to tell you this, but this "Adoption Poster" for an opossum named Lloyd never should've been uploaded: nobody here remembers ever writing it, let alone having fostered an opossum. However, I remember this guy quite well. He showed up in my car one day, and as it was my duty I welcomed him into my house for the night, thinking I would just drop him at the kennel the next day. He managed to make itself at home and even began playing with my oldest son, Billy. He was really nice, so I accepted to let him stay in my garage, where I provided him with some toys and a comfortable box. Well, this little bugger was so comfortable in my household that he was taking my wife out to restaurants every now and then when I was partying with friends and school acquaintances. The worst was when I found them together in bed one time. What kind of neighbor, what kind of friend does that?! So I had to kick him out, and didn't hear of him again until I saw this Adoption Poster on the website. Please remove this poster of "Lloyd", as he calls himself now, this isn't the kind of guy you want in your neighborhood. I am one of your faithful "clients", if I may say so, and I had never been disappointed by the services you offer, both as a kennel and as an animal lover. But today, I must say I am deeply saddened to see this "Adoption Poster" for an opossum named Lloyd. 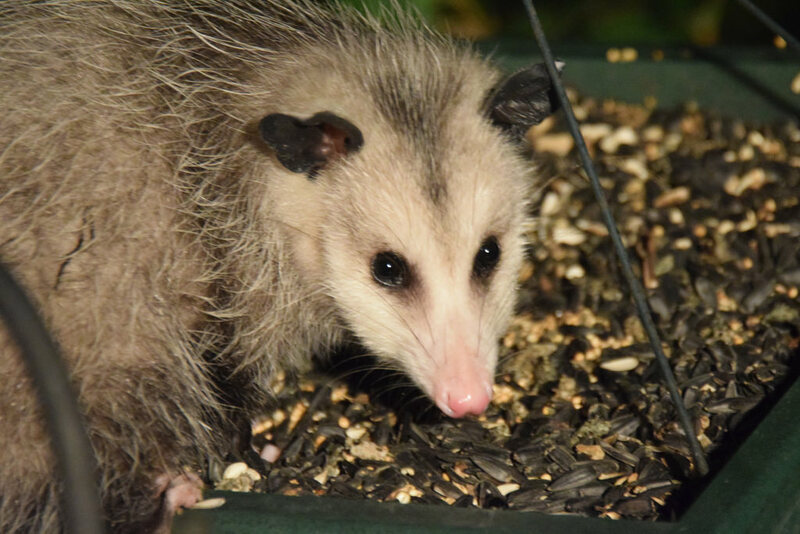 While possums are known to be great pets, the description of this particular one and the notes left by previous foster parents are just gibberish and really seem fake to me: how in the name of God would an opossum, which are, I assume you knew, speechless little mammals, be able to "play Monopoly" or "change a tire"? Who are these people who claim this Lloyd can lend them some money? Opossums can't have bank accounts nor money in the first place! I never thought your very serious organization could allow such comments to be uploaded without even checking for their authenticity. Be assured I will take this into consideration when browsing your website, and that you may have lost a great follower of your ideas and convictions. First, know that I, on the behalf of all the staff, am truly sorry to hear that you had an unpleasant experience with Wilson's Wildlife Solutions. We aim to be the best in all of Oregon in terms of caring for animals and providing them a good, happy life, and knowing that we, in your heart, failed to do so, saddens me. I hope your faith in our actions will not be impacted, and that you will continue to do your best for all the loving critters in the world. However, there seems to have been a misunderstanding: all the comments that are presented on Lloyd's Adoption Poster are, indeed, correct. They have been fact-checked by our team here after a meeting with each previous foster parent. Furthermore, Lloyd indeed possesses a great heart, and knowing that you may think he's just a mere opossum is hard for me: I would consider him a family member, even more after all the good he did here. In fact, no later than last week, this great and loving human being — more human, in fact, than most of our citizens — drove me to the hospital after I injured myself so badly I couldn't move. So to see that some of my clients could try to diminish what he does for others, that saddens me the most. I hope that your opinion on Lloyd can change, one day.